My Little Man's Life: Week 13 - Your first professional pictures! Week 13 - Your first professional pictures! Today we went to the Picture People to have your first professional pictures taken. You were so good and such a ham. 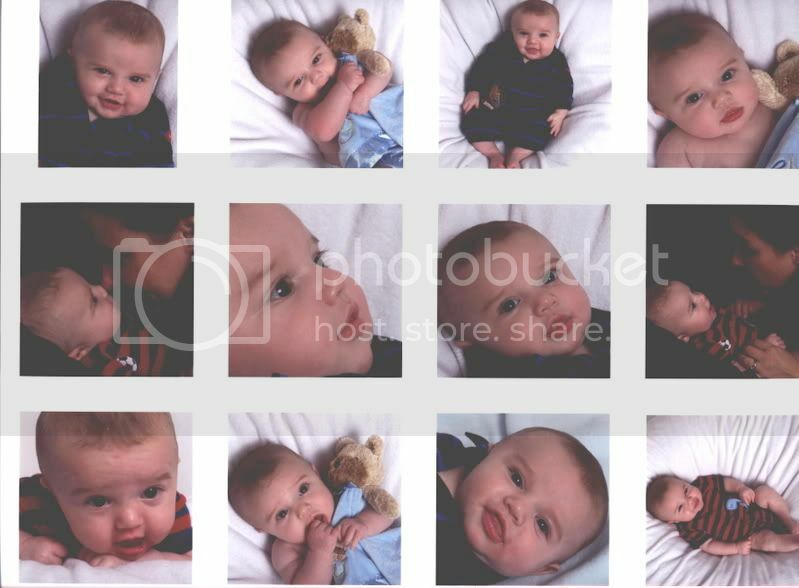 We had some really cool pictures taken of both you and your cousin Kaleb. You two look like the best of buds in them!